Shoes, Clothes, Boots, and Fashion is one of the most popular shopping platforms that allows you to buy the best shoe brands and enjoy free delivery and returns. The platform contains almost all the major brands and their products to make it a comprehensive solution. You can enjoy its service on web-browser, Android and iOS devices anytime anywhere to deliver a more realistic experience. It is free to use a shopping application that allows you to buy clothes, shoes, and fashion accessories at the best price. It is one of the best apps like Zappos and offers all the core features with some new options. With the help of this application, you can easily explore, browse, swipe and view images and as well as by a product on the go. It is a free shopping platform that design for those who want to buy sports products like trainers, apparel, equipment, and accessories. The app has a massive collection of sports products that consists of multiple categories, and each category has its own products. One of the best thing about this application is that it offers quick refine top searches that quickly find exact matches that suit your style. Myntra Online Shopping App is an on the go fashion store that allows you to shop for clothes, footwear, accessories and home furnishing for women, men and kids. The app is available to use on Android and iOS devices, and you can enjoy its service anywhere around the world. It is a powerful shopping store where you get all your favorite fashion brands and collections at just a click. Tbdress Shop Fashion and Trends is the fastest growing one-stop online fashion shopping application for men and women. The store offers cute fashion, and trendy clothes for men and women ranging from dresses, bottoms, tops, electronics, shoes, and bags varied accessories. Using this application, you can get up to 200$ free coupon for new sign up and also enjoy 10% extra off on all products. Mytheresa Luxury Fashion is a free to use shopping application developed and published by mytheresa.com for Android and iOS devices. 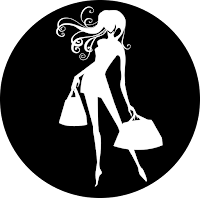 It is an excellent store that allows you to shop women’s and kid’s luxury fashion and find the latest collection of designers clothes, bags, shoes and accessories from up to 200 brands including Gucci, Prada, and Valentino, etc. Shop Latest Fashion and Clothing is the most leading online shopping application that is designed for fashion lovers who want to buy trending fashion clothes, shoes, and accessories. It is free to use shopping application created by Hypebeast LTD, and you can download it on Android and iOS devices. With this, you can browse and shop from up to 200 world’s best leading contemporary fashion and brands. Top Luxury Fashion created and published by LUISAVIAROMA.com for Android and iOS devices. It is a luxury shopping application that allows you to easily access new arrivals, the trending home design, beauty and fashion with just a single click. With the help of this app, you can access to the hottest collection for women, men, and kids. It is an all-in-one online shopping application developed and published by Tata Unistore Limited. It is a country’s first and only online store that brings authentic apparel, accessories, and shoes from the world’s best luxury tables. The application aims to leverage the legacy of the Tata Groups that has set the standard for luxury services with marquee names. MatchesFashion is a global luxury-shopping platform for menswear, womenswear and kidswear bring together a modern edit from up to 450 fashion designers such as Saint Laurent, Dolce, and Gabbana across clothing, bags, and accessories. The application makes your shopping experience even simpler through intuitive browsing, syncing with your online account and advanced filters for search and ordering.